When I was a teenager, I heard about Compassion International at a huge Christian music festival. After one concert, I wandered over the Compassion booth, peered at faces and faces of children, and chose a little girl named Ruth. For years, Ruth and I exchanged letters. She told me about her new brother and how she liked music class. I told her about going to college and asked what her favorite subject was. She journeyed with me through high school, college, post-college, a new marriage, and many other life changes. Then, one day I learned that she was no longer in the program because she no longer needed to be. 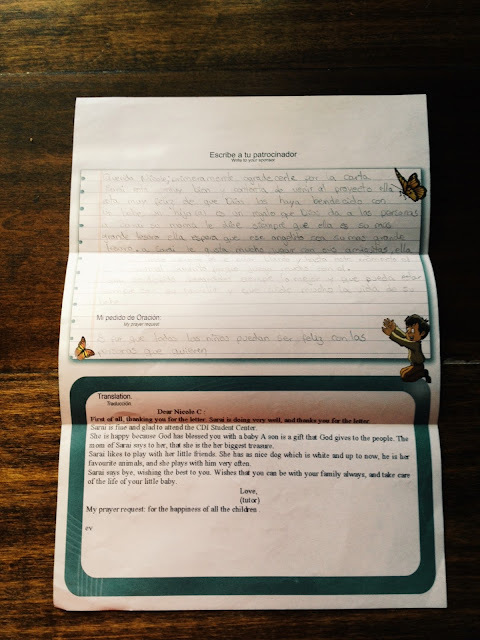 I wasn't sure about all the circumstances, but I am thankful that Ruth was my sweet, sponsored child (she was about 16 when I last wrote to her) for over ten years. 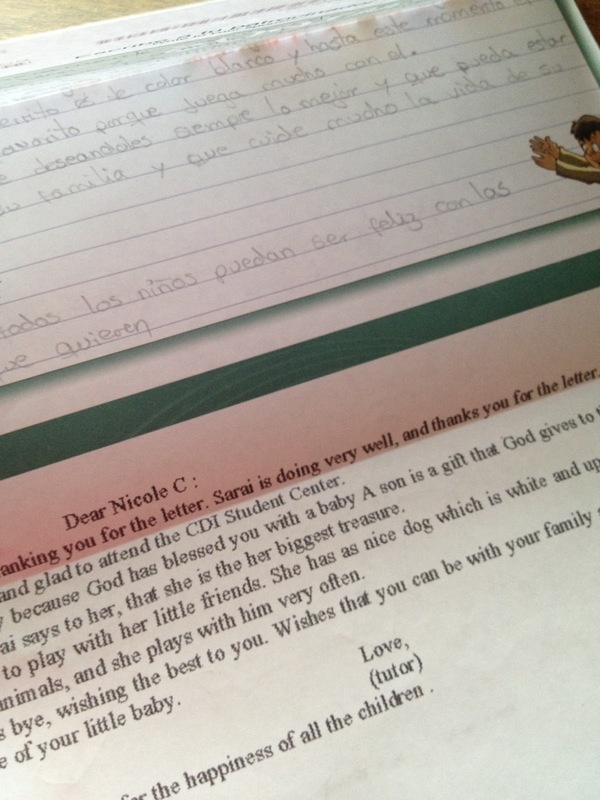 Now, we sponsor a little girl from Bolivia by the name of Sarai. She's tiny, precious, and loved. The other day, I received my second letter from her, and while reading the words, I had one of those moments that I want to tuck away forever--one of those moments when you feel like a beacon of light has just shot its way into your soul and you feel overwhelmed by how such a simple thing speaks truth into your life. Have you had one of those moments? "She (Sarai) is happy because God has blessed you with a baby. A son is a gift that God gives to the people. The mom of Sarai says to her that she she is her is her greatest treasure." 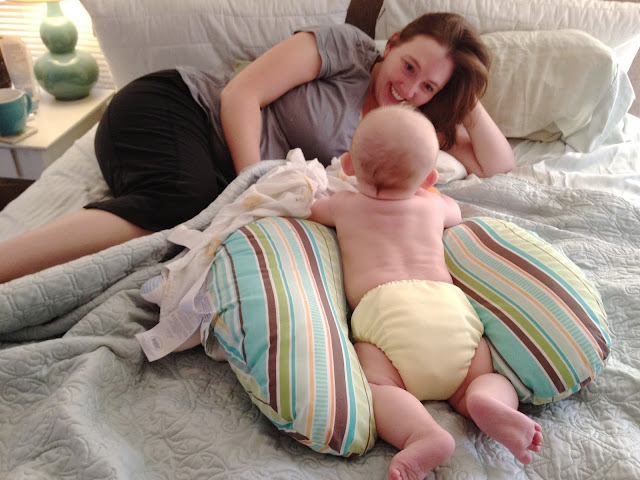 Immediately, I felt such love towards Sarai's mother and imagined her telling her little one that she is her treasure. What a beautiful picture it stirred in my heart! Not only that, but those words just reminded me (in such a sweet and comforting way) how much my son is my treasure. And how much I want him to know that. I can't help but be more thankful for him. And that thankfulness stirs up more joy for those daily tasks (even the boring and mundane ones) and also more praise to the One who gave me this precious gift. Finally, I'm going to encourage you to sponsor a child if you don't already (I was not asked to do this...I just want to because I really do see how beautiful it is!). 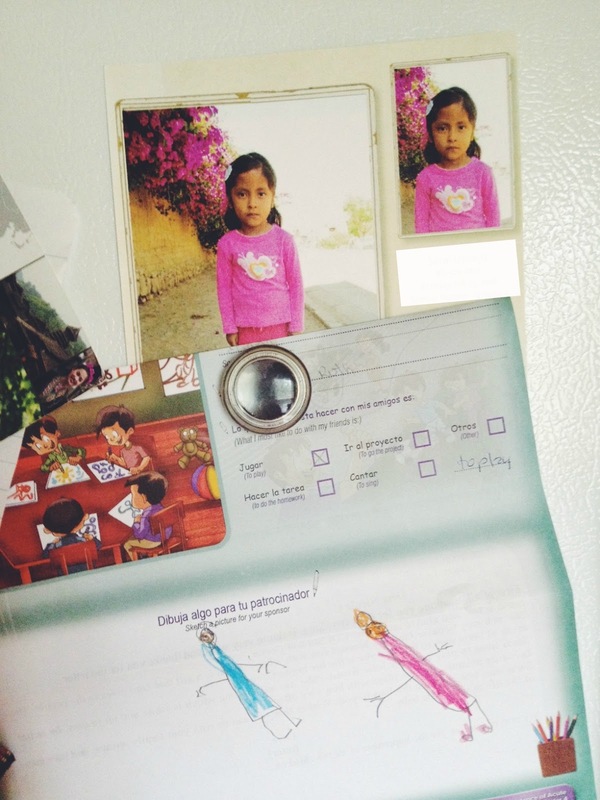 Sponsoring a child through Compassion International is a wonderful option, but there are many other organizations to go through as well. Because that little one is a mother's treasure. And, more importantly, that little one is His treasure. Nicole, I loved reading this. 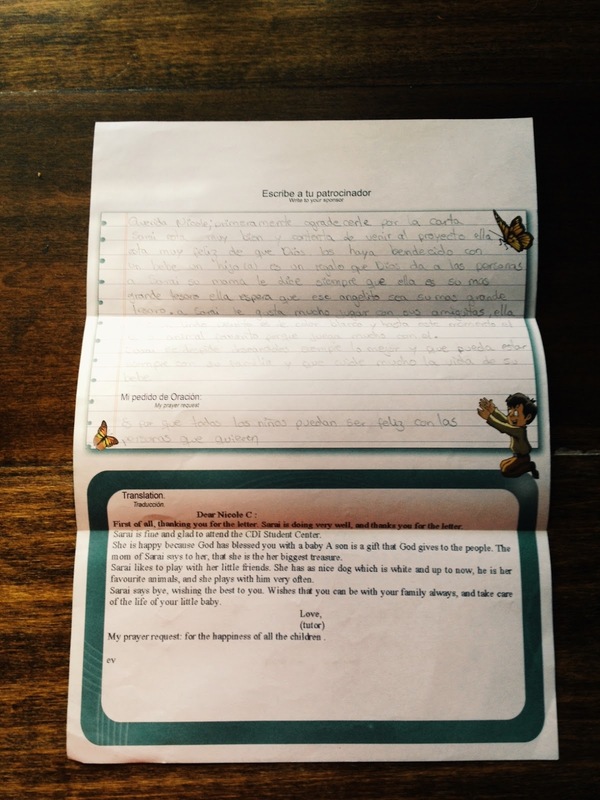 We sponsor a boy, Julio Cesar, and it's always startling how deeply his letters touch me. As a parent, I can't imagine what it must mean to their parents to have the support as well.